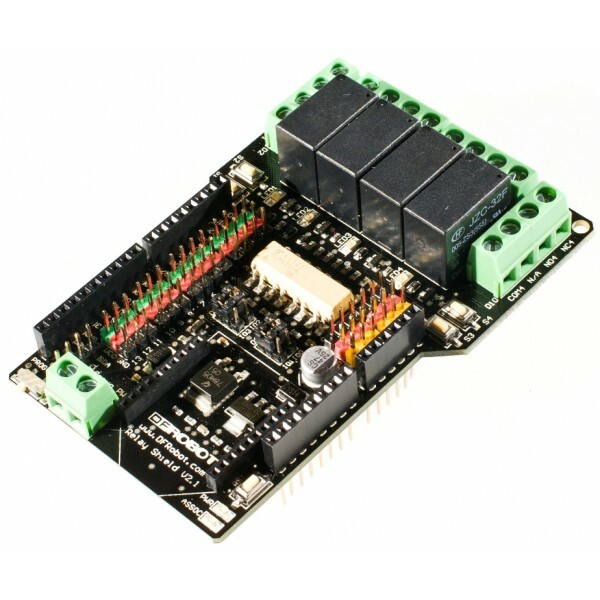 The DFRobot 4 Channel Relay Shield makes it easy to control external circuitry with Arduino or compatible microcontroller. Relays work like SPDT Single Pole Double Throw switches that can be controlled by using digital outputs from your Arduino microcontroller. Each switch is isolated from the sensitive digital circuitry to allow them switch relatively high amounts of current. The relays can be wired for both NO Normally Open and NC Normally Closed operation. Each of the four relay on this shield are independently controllable. 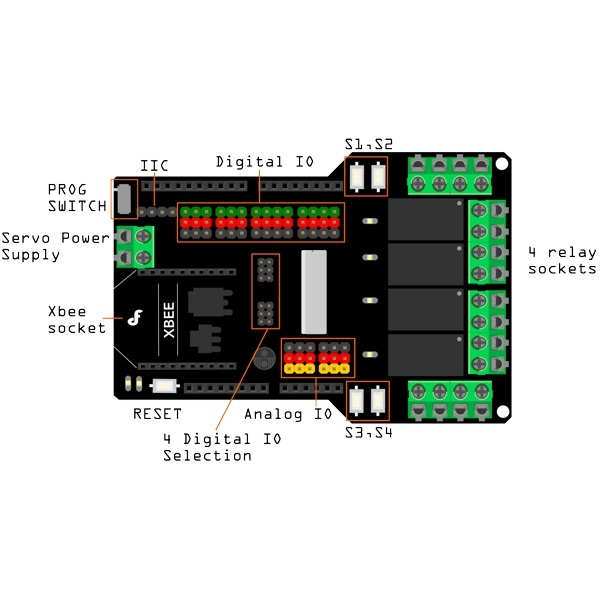 The shield defaults to using Arduino D2, D7, D8 and D10 digital lines but can be configured to respond to others. Each relay has its own button to facilitate testing and LED indicators for visual debugging. This board also includes an XBee socket for attaching compatible ZigBee, Bluetooth, WiFi and other RF wireless modules. 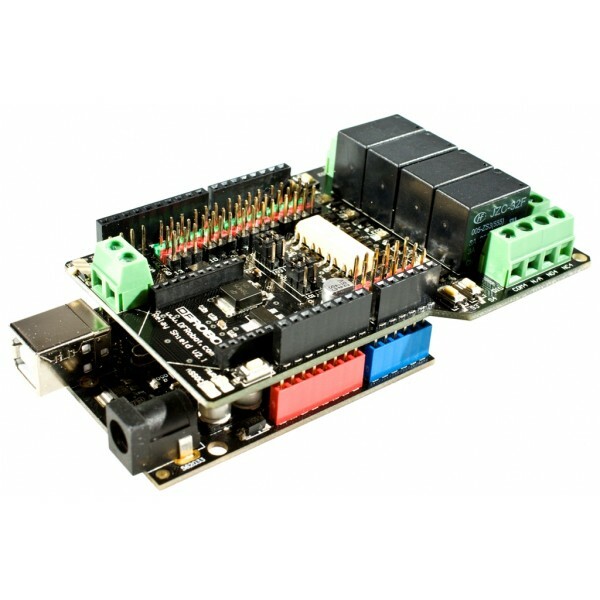 Extra 3 pin digital and analog headers and servo power inputs are provided for additional convenience. Note: This shield must be powered using the 7-12V from the Arduino power jack.